No Egyptian president assumed the post without confronting several problems. Gamal Abdel Nasser had to eliminate his partner Mohammad Najib in order to become president. Anwar al-Sadat fought off a battalion of suspicious men and conspirators, and he only assumed governance after a difficult and vast purging campaign. After Sadat was killed by conspirators from among his own forces, Hosni Mubarak left a trail of death and blood on his way to the palace to perform his oath. Abdel Fattah al-Sisi will assume the presidential post while being aware that the current era is more difficult than any era confronted by any previous president. Sisi is in control of a country with a former government that was on the brink of collapse, a country that is drowning in its economic crises. Egypt will confront the challenge of terrorism, which will keep the state busy for years. Several organizations, supported by domestic and foreign parties aiming to topple the government, are involved in this terrorism. Sisi will also confront the Muslim Brotherhood which will spare no efforts to see him fail. His tasks will be difficult and they will be bigger than anything Egypt previously confronted; from maintaining security, to confronting the Brotherhood’s incitement, to improving citizens’ livelihood, to providing jobs and healthcare and to restoring Egypt’s regional political role. Mubarak was toppled during the January 25 revolution while the country was in chaos. What protected the country from collapsing was the presence of renowned institutions like the army. These institutions prevented the situation from escalating into the likes of situations seen in Syria, Libya and Iraq. After Mohammad Mursi was toppled on July 3, 2013, Egypt once again was on the verge of collapse. Governance is currently Sisi’s responsibility. The situation is more difficult than before, and we don’t yet know the capabilities of the upcoming cabinet. After he was elected, Mursi set a standard of governance. He pledged to fulfill 64 promises - including those linked to security, bread, fuel and cleanliness - in 100 days. However, he failed to acheive anything even after 300 days in power! His rosy promises made people angrier and pushed them to strike and block roads. The country was heading towards chaos, and perhaps collapse. Mursi was a mere front for Muslim Brotherhood guide Khairat al-Shater and his extremist group. They were all occupied with political battles against their rivals and they sought to eliminate them via the media, judiciary and police. 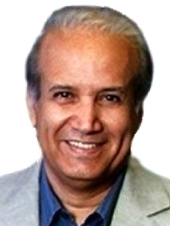 When it comes to the current era in Egyptian politics, the situation of President-elect Sisi is not any better in terms of people’s expectations. People expect him to improve their living conditions. This means that he won’t let the Brotherhood and other extremists distract him by entangling him in political struggles and thus exhausting the state. The Brotherhood are experts at creating chaos. Chaos itself is one of the reasons they failed to govern the country when they got a chance. They spent an entire year of governance engaged in political struggles. We must not forget that President Sisi is the heir of two regimes melded together - that of Mubarak and that of Mursi. During Mubarak’s era, the future was unknown. Meanwhile, the beginning of Mursi’s era in power was frightening because Mursi was heading towards a form of fascist, exclusionary rule. Egypt must succeed because its success serves everyone. Egypt is the center. It is either a center of stability or a center of chaos. It either brings security to the entire region or becomes a source of regional problems. There are huge capabilities that can help restore the country’s former status if the new ruler succeeds at employing them and achieving the aspired-to miracle. There is a chance thanks to the presence of Arab and international support, and I don’t mean financial support. There is a real international desire for Egypt to succeed politically. This will not be possible unless President Sisi manages to foster the conviction that a government with staying power has been established after everybody’s participation and to everyone’s satisfaction. Having faith in the government can create an atmosphere conducive to positive change. This article was first published in Asharq al-Awsat on June 2, 2014.